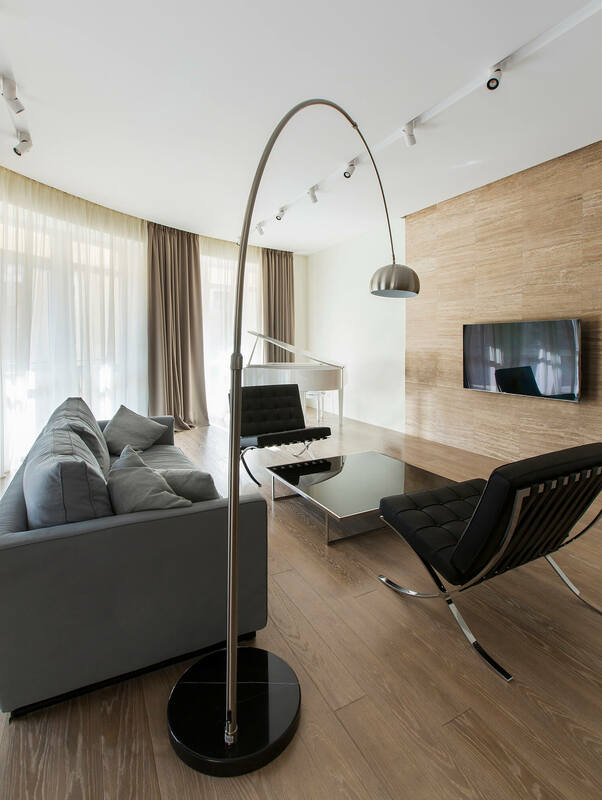 Designing the Armen House project was a pleasant challenge for us. 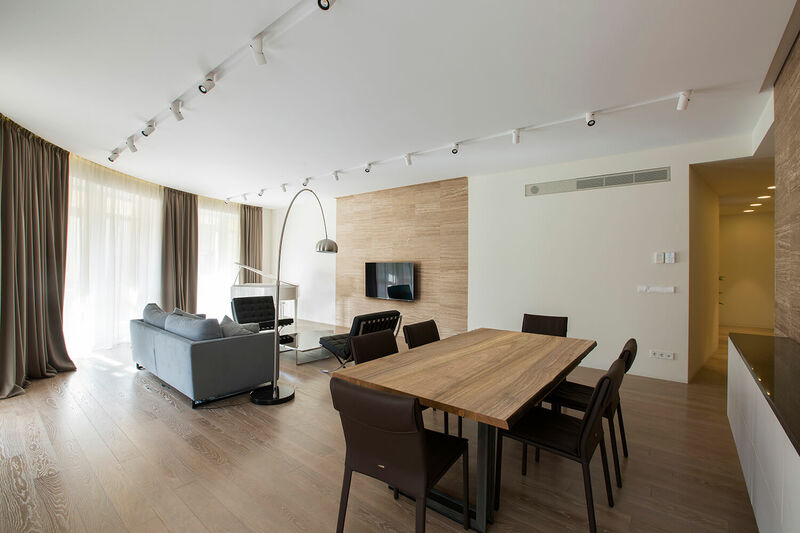 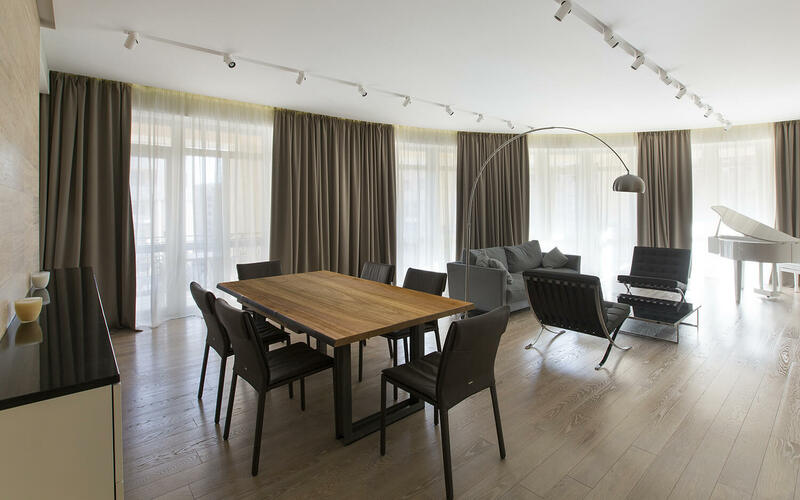 We wanted to create a space, which would combine the comfort of a hotel and the warmth of a home, as the apartment was designed for a traveling family, that spends little time at home. 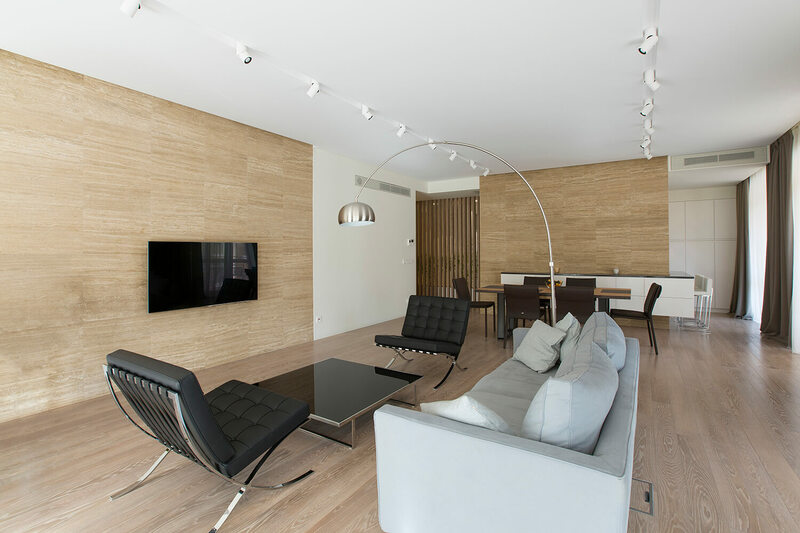 We went with minimalism to reach this goal and accentuated the design with the help of furniture and other decorative elements. 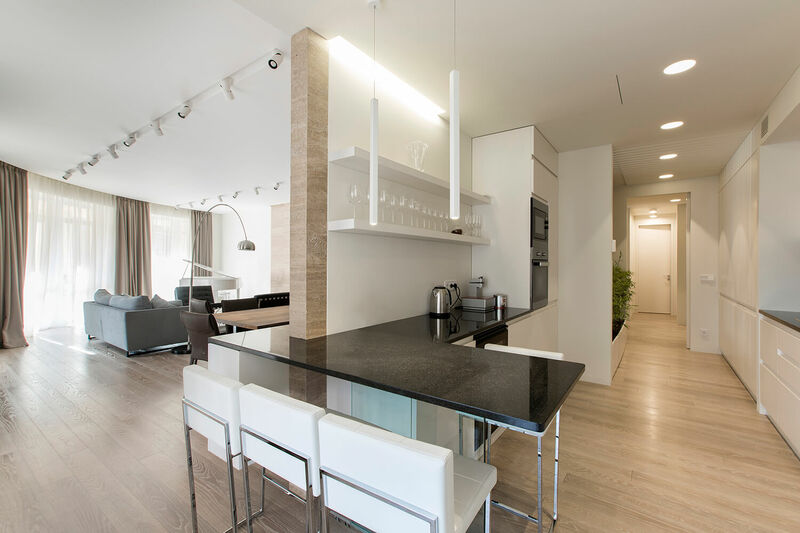 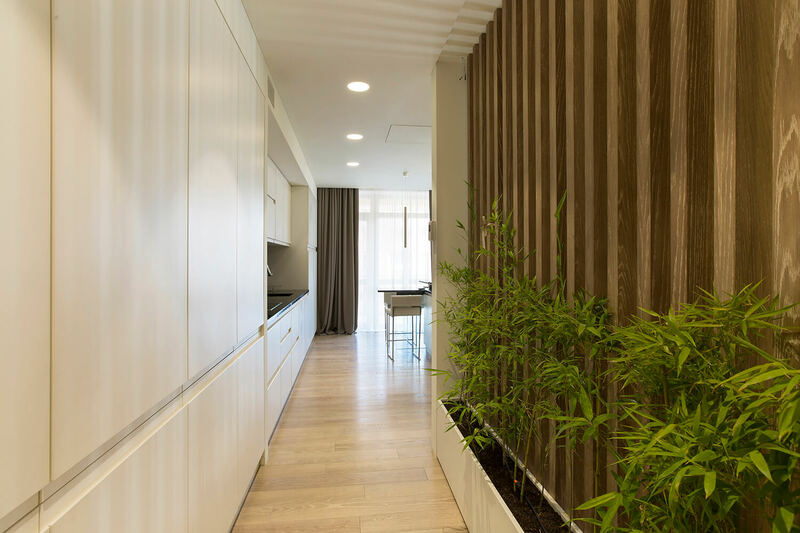 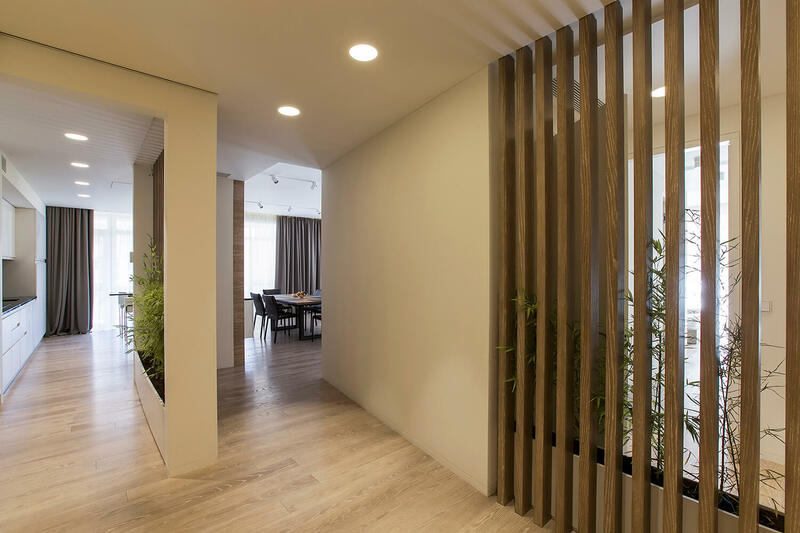 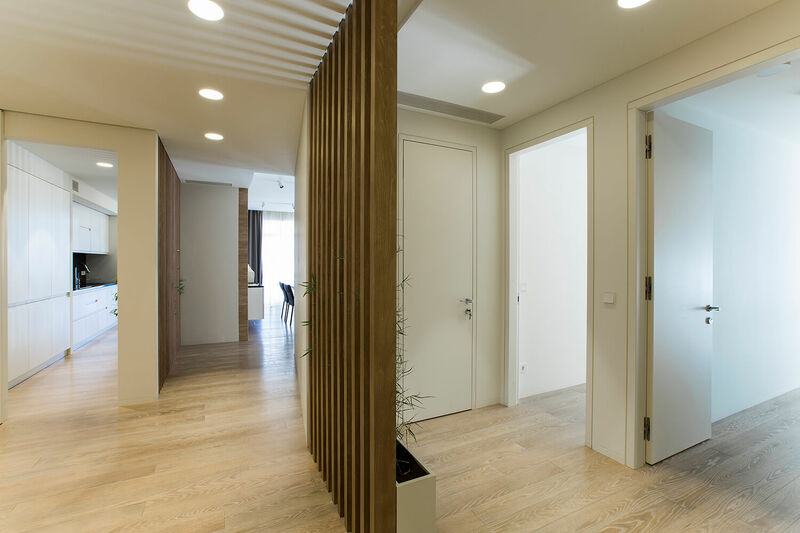 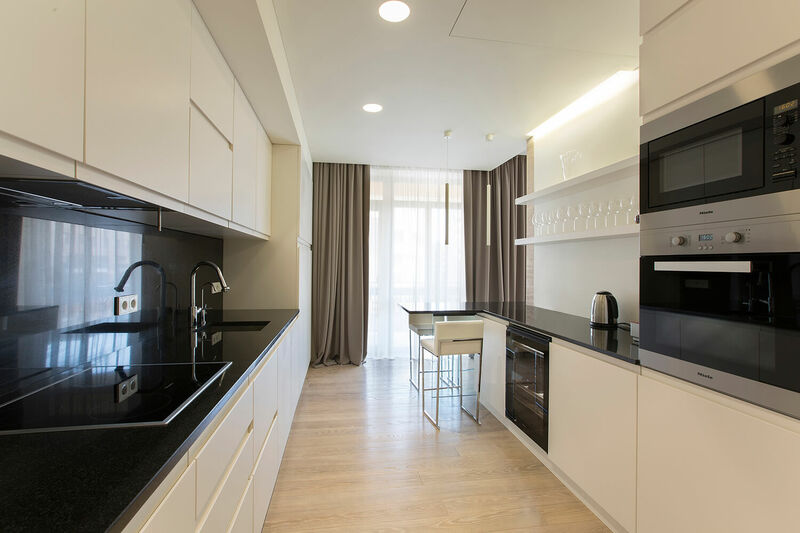 To use the existing space of the apartment more optimally, we also used floor-to-ceiling windows to lighten the apartment and make it visually larger.